This one bedevils a lot of hikers: do I really need hiking boots that go over the heel? You might, but probably not for the reasons you think. Back when I was a Boy Scout in the 1970s, we had two choices: heavy-duty clodhoppers or whatever sneakers we had lying around. When I got back into hiking in 2004, I was gladdened to see boot companies had gotten smart and introduced “trail shoes,” which have the beefy soles of a boot but stop below the ankle, saving weight and adding comfort on long treks. Trail shoes are a great innovation, but rookies might wonder: don’t hikers need ankle support? They do, but here’s what I think: ankle “support” provided by high-top boots is largely an illusion. As I’ve noted here before, if your ankle zigs when your leg zags, that little swath of leather is not going to prevent a sprain or a break. My reasoning: if high-top footwear provided meaningful support, why do all those football and basketball players religiously tape their ankles? Actually the best argument for high-top boots is that they protect the bony protrusion of your ankle — it does just stick out there on both sides and will seem magnetically attracted to sundry rocks and roots along the trail. Next best reason for over-the-heel boots: they keep out a lot more crud than low-risers. I used to feel like I had to wear gaiters to thwart the rocks, pebbles and burrs, but I figured out over time that wearing long pants and boots pretty much wipes out those annoyances. Finally, I prefer over-the-heel for the same reasons I like to carry a day pack stuffed with survival supplies I never use: I just feel like I’m hiking when I’ve got my boots and my gear (and the extra weight is good exercise). When I’ve gone with low-rise shoes, I’ve had the best luck with trail runners — which are deliberately lightened for joggers but usually have beefed-up padding under the ankle bone that offers surprisingly good support on wacky terrain. That way you get the lightest weight in a shoe built for trail use. In any case, shoe choice always boils down to fit: if your ankle bones don’t like being swaddled in leather, you can still get all the heft of a boot if, like Keen, above, the brand offers low- and high-rise versions of the same shoe. Just bear in mind you’ll be putting up with a lot more gunk creeping in. Good article. I must say that I have no reason to go back to wearing boots, though. The confidence afforded by the added support was nice when I first started to hike again, but after my ankles strengthened up there was little need for them. Also, I haven’t had one blister since switching to trail runners! And I feel like I’m flying over the trail, rather than clomping along. Getting your shoes full of crud is a real concern, though. You should check out Dirty Girl Gaiters, they are a light, airy gaiter made to keep out the debris, and ONLY the debris. They are not water resistant. I bought some airy, mostly-mesh trail runners last year to deal with the North Carolina heat, but found out right away that the rocky trails around here beat my feet all to hell, so I ended up moving back toward boots. I find that it really depends on the hike. For most hikes that are even moderately rugged, I am going to use boots, but if I can get away with it, I just wear Teva’s. I grew up using Pivetta Mure Trails, so I azppreciate today’s light weight boots. I guess that I am now in the boots or nothing crowd. I don’t mind stopping a few times to dump something out of my mesh trail runners, but my wife, who uses the same shoe, uses Dirty Girl Gaiters and swears by them. Also makes for some colorful photographs. Whether support is really an illusion or not, I feel supported in boots and going over uneven terrain, that is all that matters to me. Plus I agree with you, if you want to go hiking, put on boots, it gets you in the right frame of mind. Good points! 99% of the time I wear boots. I do feel more supported and protected against very rocky trails here in Colorado. 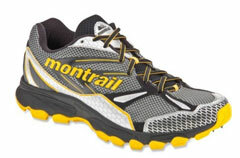 I do agree that you can probably get away with trail runners or similar for less demanding hikes. I wear both. I wear my Keen Pyrenee’s boots when backpacking or on really rocky trails, and my Salomon trail runners for day hiking. I know a lot of backpackers swear by trail runners (they are a lot lighter) but I figure the added support and protection is good insurance when I’m out in the wilderness and carrying a load. I think I’ve been taught by some pretty old school hikers but if I wore hiking shoes on some steep hills, wet and gravelly I would have been ripped apart. I do think it offers a bit more protection. The high top has prevented my ankle going off in it’s own direction countless times, instead my leg tends to bend at the knee. I have have great experiences with both high-top and low hiking shoes.It really depends on what kind of hike you are doing. Due to an old ankle injury,I tend to favor the high top boots despite the extra weight. Good information you have, especially for newbie hikers. I have found good info on http://www.besthikingboot.org as well.